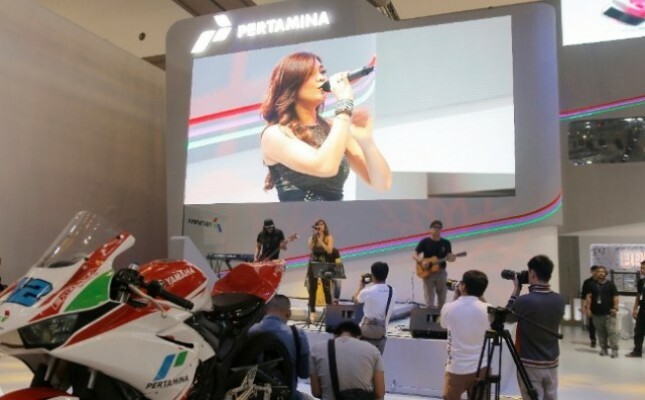 INDUSTRY.co.id - Jakarta - After the success of GAIKINDO Indonesia International Commercial Vehicle Expo (GIICOMEC) 2018 which took place on March 1-4, 2018, the Indonesian Automotive Industry Association (GAIKINDO) will again bring GAIKINDO Indonesia International Auto Show (GIIAS). GIIAS which will take place on August 2 to 12, 2018, at Indonesia Convention Exhibition (ICE) BSD City, Tangerang, is a proof of contribution and support to the development of Indonesia's automotive industry. This year, GIIAS received direct support from OICA (Organization Internationale des Constructeurs d'Automobiles). 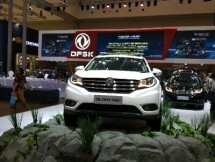 That is, this year, GIIAS will get more attention from the international automotive industry. As in previous years, GAIKINDO will present GIIAS 2018 with a better presentation on all sides compared to the previous year. Yohannes Nangoi, Chairman of GAIKINDO expressed GAIKINDO's desire to make GIIAS an event that contributes positively to society. "We want GIIAS to inspire the public to continue to develop their knowledge of automotive that in the future the vehicle will evolve from just a means of transportation, the vehicle will play a role in improving the quality of life," he said in Jakarta, Tuesday (26/3/2018). GAIKINDO describes GIIAS's inspiration in a theme "Beyond Mobility" which is defined as a motor vehicle evolutionary movement rather than a tool to move an object into a contribution that can drive the acceleration of the quality of human life. Rizwan Alamsjah, Chairman III of GAIKINDO who is also Chairman of the Exhibition Organizer GAIKINDO explained that GIIAS 2018 will pour the spirit of "Beyond Mobility" in GIIAS 2018, "GIIAS 2018 will maximize the spirit of Beyond Mobility in the sides of the implementation," he explained. Harmonization between technology and Safety Driving and Defensive Driving behavior will be discussed in the GIIAS 2018 pre-event safety and defensive driving program which will take place on May 8, 2018, at ICE - BSD. Targeting laymen, GIIAS proclaimed this program to be one of GIIAS 2018 programs that inspire the public. In addition to safety technology features, Rizwan revealed that GAIKINDO will encourage its members who are also GIIAS participants to deliver future automotive technology that reflects the Beyond Mobility theme, to inspire GIIAS 2018 visitors.